During and after divorce, it can sometimes feel as though “happily ever after” will never be an option again. But this doesn’t have to be true. While divorce does mark the end of a marriage relationship, it does not mark the end of a thriving home and family life. When walking through a divorce, this may seem hard to believe. If this is your experience right now, take steps to refocus your life. Here are a few ways to make this possible. Reframe your “happily ever after.” On the wedding day, most couples likely envision many wonderful events in the future together. But after divorce, together isn’t an option the way it used to be. This means the future will play out differently than our expectations. To come to terms with this, take the time you need to grieve those expectations and the old normal. Make new friends and cherish those who continue to be supportive. Loneliness is common to everyone; however, it may be more acute in times of upheaval and change, such as during a divorce. Be intentional to find new friends to help you move forward with your life. Continue to enjoy the friendships you have with those who have been there for you before. Though it may be easier to become isolated, the greater benefit will come from connecting with others who bring kindness, understanding and love to your life as it is now. Rely on your community. Life after divorce is a significant adjustment. Things your former partner used to take care of now become your responsibility. Time is at an extra premium. Your community is a great resource, and most of them will be happy to step in whether you need a hand for home maintenance tasks or the carpool line. Plan great things for the future. Continue setting goals and moving forward with the rest of your life. When there’s a fun vacation or passion project in the works, it helps keep up good momentum. While the future may not be exactly the way you imagined it, there are still lots of experiences to enjoy and wonderful things to pursue. Focusing on exciting opportunities, even if they’re months away, may help you find your balance and adjust to your new normal more quickly. 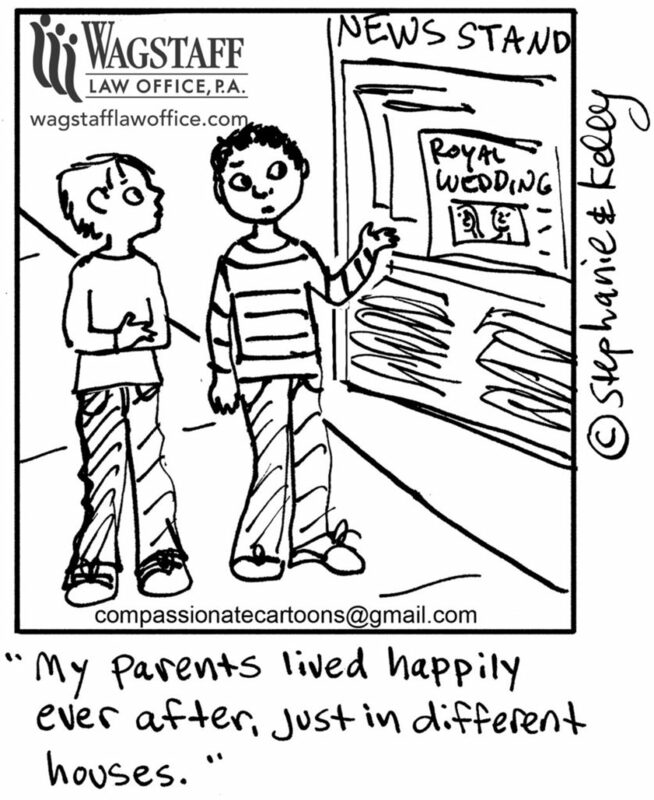 If you’re looking for someone to partner with you in your divorce proceedings, contact Wagstaff Law Office. We’re experienced in divorce law and know how to help you manage the details as you move forward. Call (727) 584-8182 to schedule an initial consultation.